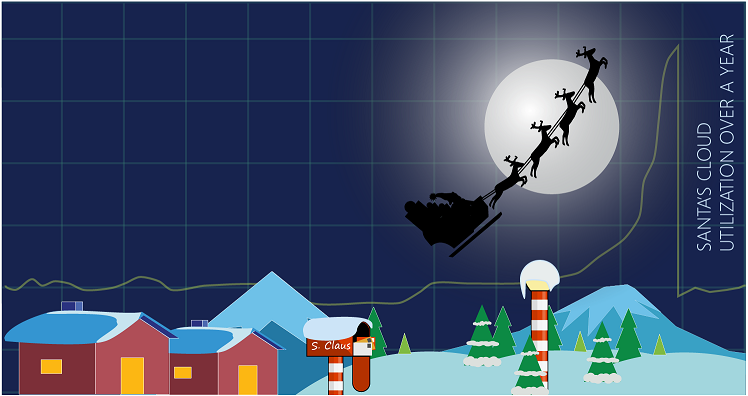 The Santa Cloud poster shows how Santa and his elves use Microsoft Azure and other Microsoft cloud offerings for his annual gift deliveries on the evening of December 24. These resources must scale to handle the data processing demands for all the world’s children up to the delivery date. 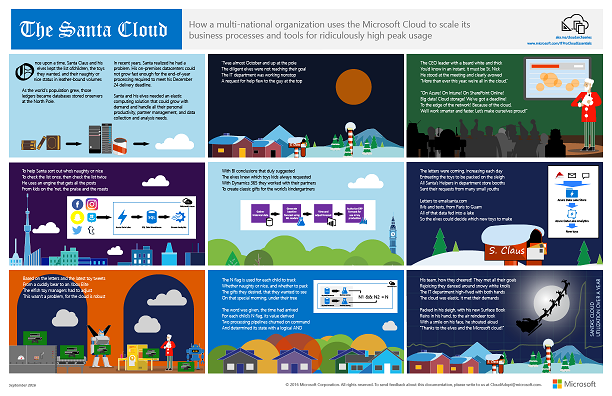 See how Microsoft Azure can tackle some of the biggest and, for the world’s children, most important processing tasks.